When it comes to proving amazing caregiving in Napa… Kimberly knows a thing or two! We’ve had the pleasure of working with Kimberly since 2011. She is amazing patient, reliable, and truly goes above and beyond to ensure the happiness and well-being of her clients. She’s always got a smile, and is such a joy to be around! 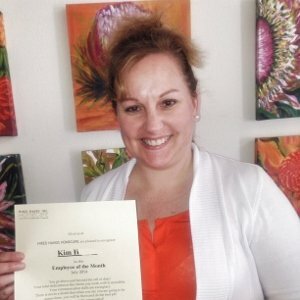 Congrats Kim, we appreciate all you do!